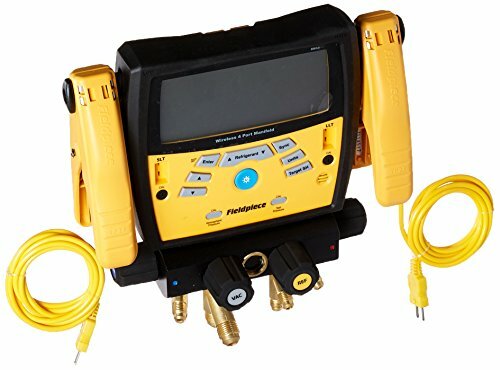 HVACR professionals can do more with the SMAN440 wireless 4-port digital manifold. This innovative digital manifold displays all the readings technicians need at one time, on a large, easy-to-read display: 2 pressures and 7 temperatures. So HVACR pros can view things like target superheat, and superheat and subcooling all at one time. Plus the wireless capabilities allow techs to make system adjustments while seeing in real-time how the changes are affecting the system. The large 3/8" full bore manifold and VAC port can be used for quick recovery and evacuation. And the SMAN440 can send and receive wireless measurements for further diagnosis, data logging, and reporting.